Roof Repair Tampa or New Roof? The roof is a very important part of a structure. It serves to protect the interior and structural integrity of the house from harsh elements in Tampa, including rain, heat, snow and strong wind. Water leaks coming from above the house is a sign that something is wrong with the roof. If the roof has only been recently installed, the problem could be traced to poor installation. However if the roof is old, it might already need repair or even replacement. When your roof is at or near the end of its service life. Roofs are expected to last around 20 to 30 years. If you experience leaks and other roof problems and your roof has used up its expected service life, a new roof might be necessary. To improve your home’s appeal and value. An old and outdated roof detracts from the aesthetic appeal and intrinsic worth of a house. If yours has been around for years, it is advisable to install a new roof when you want to improve its physical appearance and real property value. When you experience extensive leaks. A roof repair or patch-up work might not solve the problem for you. Your roof could have sustained extensive damage that necessitates the installation of a new roof. Leaking ceiling. If the timbers are still in good condition without any molds, break or warp, a dripping ceiling can be repaired without incurring huge expenses for a new roof. Damaged soffits. Ice dams, defective flashing and damaged shingles are common causes of damage to eaves, gables and soffits. Properly maintain the flashing, utilize ice dam prevention methods and replace damaged shingles to keep the soffits and eaves in pristine condition. Missing shingles. Replace missing or loosed shingles with spare shingles, which you should always store for such situation. Removing and replacing shingles are not difficult. Failed Flashing. Flashings could fail for different reasons such as variations in temperature and wind storm. The expansion and contraction of metal caused by heat and cold could loosen flashings, especially those installed around chimneys, skylights and vents. Sagging gutters. Debris and other dirt accumulate in the gutter through time. Some people install gutter covers to prevent it from being clogged. The debris adds weight to the gutter, which may eventually sag because of the weight. Its mounting support could also fail. Just keep the gutter clean, remove any debris and remount the support. 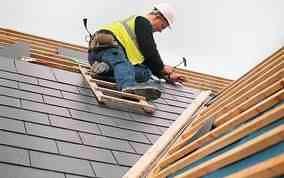 DIY or Roof Repair Orlando Experts?